I've already made clear that I love to decorate my home for Christmas. My festive spirit is not limited to the living room though- I also go all out when it comes to my bedroom. Since that's the first room I'll see on Christmas Day, and the location of stocking emptying, it's important to me that it is as festive as possible! This year, we treated ourselves to an early Christmas present and invested in a feather duvet which is the greatest thing I have ever bought! It's so thick and fluffy, it rustles when you move it and it even smells amazing with a real homely aroma. Since snuggling under the feathers, we haven't had to put the heating on in our bedroom so it's also helping us save money and energy. Perfect! 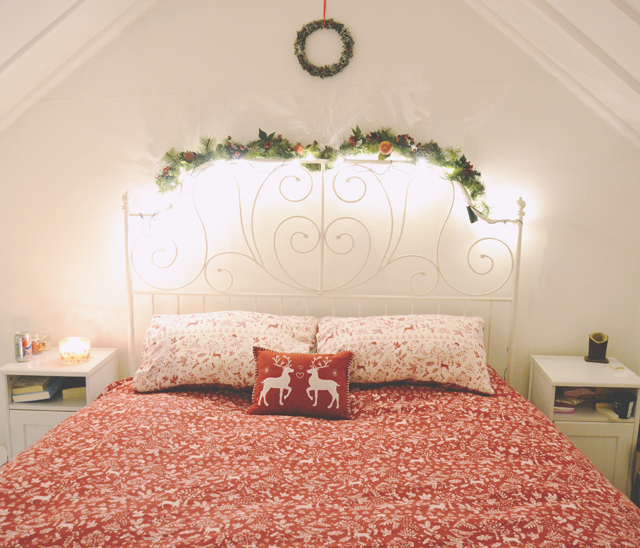 This year, Christmas bedding seems to be everywhere and I was over the moon to find this incredible red and white set. As you may know, I'm a Christmas purist and all my decorations need to follow a red and gold theme, so this fits perfectly. The repeated motifs of holly and robins have a Dickensian quality which just adds to the traditional feel. I even managed to find an adorable reindeer cushion to perch on top. 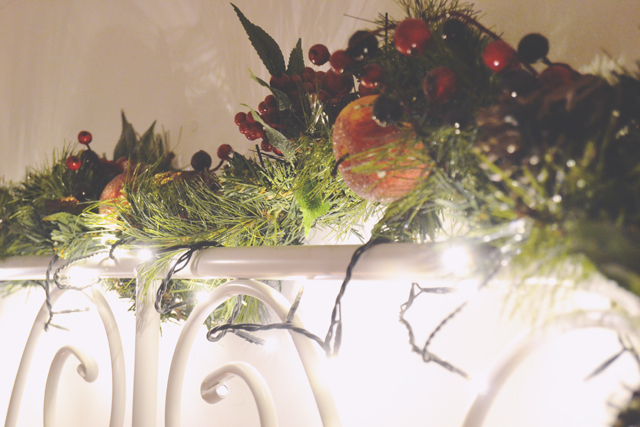 All year round, I have fairy lights strung around my headboard but, for Christmas, they are joined by this garland which has additional lights woven within it. I love how well it reflects the frosted wreath above which I purchased at a Christmas market a couple of years ago. Traditional Christmas markets are a wonderful place to find unique homeware for the festive season. What would Christmas be without some festive candles filling the room with spiced scents? My bedroom cabinet is filled with candles so I can just pull one out and light it while reading in that snuggly, feathery bed. As you've probably worked out by now, it's important that every element of my room feels festive. We have a skylight covered with a grey VELUX blind which is fantastic for blocking out light but doesn't quite fit the yuletime theme. I fixed this by covering it in a little red fabric and adding white ribbon with pom pom trimming. I'm like Kirsty Allsop, just without the cameras. And Phil. With that, my festive bedroom is complete! What do you think? Ah that's honestly the prettiest. I love the garland with the lights! The bedsheets look so lovely! Oh my gosh your room actually looks perfect, I want the bedding and cushion just for winter in general! 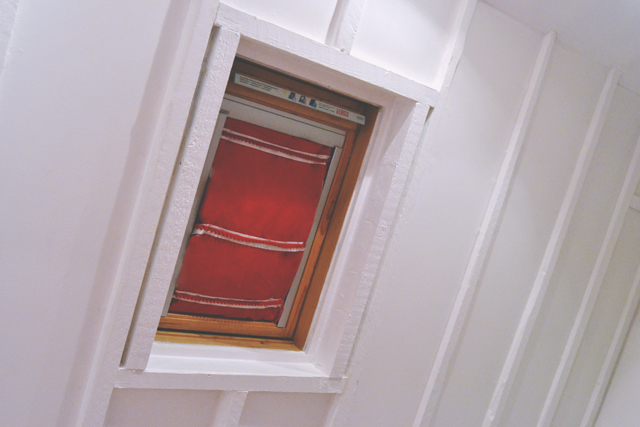 I love just your room too, I want a nice big white room aah! So fed up of student housing haha. This is all precious and such a great idea! I always keep the decorations to the living room, but decorating the bedroom is a great thought too! So pretty - I love the cushion! Such a lovely room! Definitely beats my dorm room...I kind of neglected to decorate this year...but your room looks incredible! 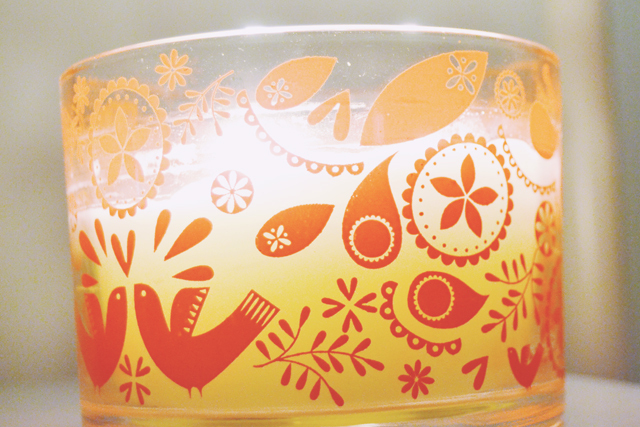 I love that the candle matches your bedspread - how cozy! Ahhh, this is *beautiful*! We haven't put up any decorations this year...we've been so busy that it just hasn't happened. The family home should be nice and festive, so looking forward to that. Oh wow you have decorated your bedroom beautifully! I love the duvet set and the cushion! Eeeeek! So cute and festive! I love it all ! 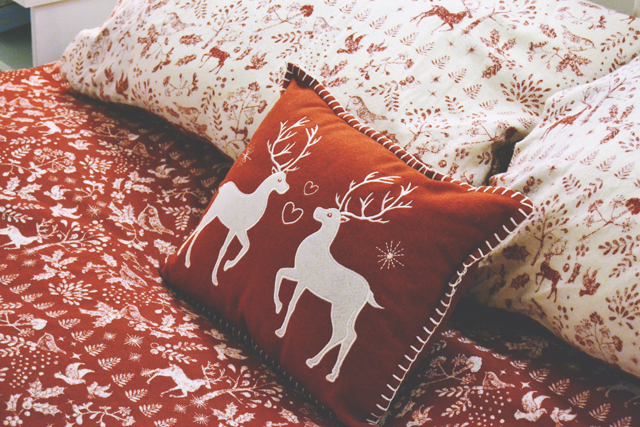 I have that little reindeer pillow and its actually the cutest! I actually love your bed covers as well! Ok it's super cute! I prefer to look at photos though than make over my own bedroom ;) I've got my fairy lights and that's about it! I hope you had a really fantastic Christmas and New Years!